Right in time for Christmas the first "Klebstoff Bundle" is available to order. 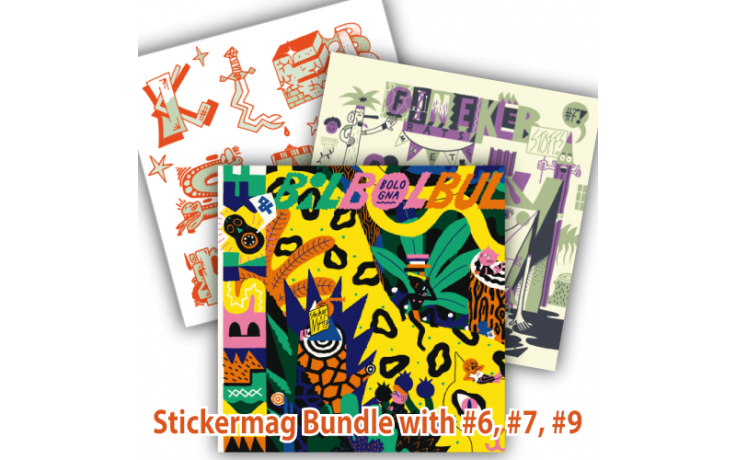 You will get the Stickermag #6, #7 and #8 at a special price and with a huge selection of stickers from all over Europe. Edition 8 contains stickers from participants of the Comic Festival BilBolBul 2014 in Bologna/Italy. On edition 7 We worked together with famous artists of the Spanish "FineRats-Magazine" and, although edition 6 does not have a special topic, it has a cover with a nightglow effect. Therefore hurry up and be the first to get over 500 stickers of artists from all over Europe and also save some money in comparison to retail sale.